Posted under Health Guides. Updated 25 September 2017. What are student health services? The student health services (sometimes called the student health center, or clinic) at your college is probably the first place you should go when you have health care needs. The amount of care you can get at your student health center depends on the college that you attend. At many colleges, you can get medical care, medications, sexually transmitted infections (STI) testing and pregnancy testing, advice, information, and/or counseling. There are usually medical, nursing, health education staff and counselors available. All of these professionals are familiar with the issues that college students often face, such as stress, chronic health conditions, learning disabilities, nutrition issues or eating disorders, relationship problems, sexual health issues, alcohol or drug problems, or sports injuries. The staff will work with you to keep you healthy and respond to your questions and concerns. If you need medical care that cannot be provided to you at your student health center, ask the staff where you can go. When should I go to the student health center? Many colleges also have a counseling center which students should go to for mental health concerns. How can I get seen at the health center at my college? You can either call or go online to see when the center is open and to find out whether you need an appointment in advance or if you can just walk-in when you need to. If you do make an appointment, make sure you schedule it so that you have enough time to get there before or after class without rushing. Also make sure you have enough time afterwards in case the visit runs longer than you expected. Should I prepare for my appointment? Yes. Think of any questions or concerns that you may have had beforehand, and write them down. If you are taking any medications, you might just want to put them in a bag and bring them with you to your appointment, because you will likely be asked if you take any medication(s) on a regular basis, and what dose you take. Also, bring a list of any other health care providers that you are currently seeing, including your primary care provider(s) and/or specialists (providers that specialize in one area of medicine, such as an allergist). Also, if you have ongoing problems, such as chronic headaches, keep track of your symptoms and how often you are taking pain medicine. (Bring this information with you to your appointment). Arrive early so you give yourself time to settle down, collect your thoughts, and fill out any forms. You may want to ask a friend or significant other to come with you to make the visit less stressful, or to help you ask questions. Ask questions and voice your concerns. Don’t leave before your provider answers all of your questions and talks to you about any concerns that you may have. If you don’t understand something your provider says, ask him/her to say it again more clearly. Your provider should be patient and should be willing to explain things to you. You should receive good care at your student health center, but if you don’t, be assertive and ask to see another provider. The most important thing is for you to be happy with the care that you get. What do I do if student health services can’t provide me with the services that I need? The staff at your student health center will know the names and contact information of physicians, specialists, gynecologists, and mental health clinicians in the community in case you need additional care not provided at the center. You can always ask them to help you find someone qualified to take care of your specific problem. Make sure to check your insurance. If it’s a problem that can wait, some insurance companies only cover visits to health care providers within your hometown network. Find out the name(s) and location(s) of the closest emergency room or urgent care center and how to get there before you need it! If you do have a problem or injury that needs attention right away, go straight to your student health center if it’s open. If it’s is not open, go to the closest hospital emergency room. The campus police at your college should be able to take you if you have no way to get there, or you’re unable to drive. If the problem is very serious you shouldn’t waste any time, call 911 for an ambulance to come and get you. 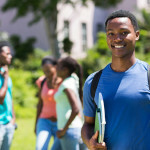 Should I continue to see my primary care provider (PCP) once I start college? You should continue to go to your primary care provider (PCP) or nurse practitioner (NP) for your health care when you are at home or if you live nearby. If you are away at college, you will likely go to the student health center for any illnesses. If for some reason your college doesn’t have student health services, an administrator at your school should be able to give you a list of health services/resources in the surrounding area. You can always call your PCP if you have any questions. Some students make medical appointments to see their PCP when they come home during breaks. However, if you have a chronic medical condition such as asthma, IBS, etc. and attend school far away from your medical specialist(s), talk to your specialist about whether you should obtain a referral to a local specialist who can manage your condition while you’re at college. Check to see if your health insurance covers health care provider visits out of network or in another state. Why am I more likely to get sick at college? You’re more likely to catch a cold or the flu or get a sore throat when you’re in college than when you are at home, even if you get enough rest. These illnesses spread quickly because so many students live together in dorms and apartments, eat together in cafeterias, and sit close to each other in classrooms. You can get these illnesses through the air when someone is coughing or sneezing next to you, by rubbing your eyes or nose after having contact with someone who is sick, or by touching something held by someone who is sick. If you smoke cigarettes or you’re exposed to second-hand smoke, you’re more likely to get a bad cough. How can I prevent catching a cold/flu or sore throat? Avoid sick people. This may be hard, but if possible, it will lessen your chance of getting sick. Wash your hands often and try not to rub your hands on your nose or eyes. Cough into your sleeve, rather than your hand. Don’t share drinks, food, or cigarettes with other people. Make sure you get the flu vaccine each year. If you do get sick, be sure to take really good care of yourself and try to avoid spreading your germs to others. What do I do if I catch a cold or the flu? How you treat an illness depends on whether it is caused by a virus or bacteria. Colds and the flu are caused by viruses, which you can’t get rid of quickly. With a cold you likely have a runny nose, cough and congestion. With the flu, you will usually feel achy and have a fever. You should get a lot of rest, drink plenty of fluids, and treat the symptoms with over-the-counter medicine (medicines you can buy at the pharmacy without a prescription). Always read labels to make sure you are getting the right medicine for your symptoms such as acetaminophen or ibuprofen (no aspirin) for fever or headaches and nasal spray for runny nose. If you have an upset stomach, eat bland foods (cereal, dry toast, rice, or bananas) and drink clear liquids (water, soda such as ginger ale or diluted juice). Strep throat and most sinus and ear infections are caused by bacteria, and are treated with antibiotics. Go to the student health center if you have a very sore throat, pain in your ears or sinuses, a persistent fever, a bad cough, or difficulty breathing. The staff there can tell you what the problem is and give you antibiotics if you need them. Most students with a strep throat have a sore throat and swollen glands and sometimes fever, but don’t have runny nose or cough. What’s the deal with “Mono” ? You have probably heard about “Mono” (Mononucleosis), which is sometimes called “the kissing disease”. Mono got this nickname because people can pass the infection through germs in saliva when they kiss, but it can also be passed if someone who is infected shares a water bottle, toothbrush, fork or spoon, or lip gloss, etc. Some people might not have symptoms but may still have the virus and infect other people. Other illnesses can mimic or act like Mono. It’s always best to see a health care provider and get checked out instead of diagnosing yourself. If I think I might have Mono, how soon should I go to the student health center? If you’ve had a sore throat for more than a week and are feeling very tired, you should go to the student health center. The only way to find out if you have Mono is to get a blood test called the “Mono spot.” However, even if you do have Mono, there is nothing you can do except to get plenty of rest, eat healthy foods, and drink plenty of fluids (to prevent dehydration). You can go to your classes after your fever is gone but you will likely feel tired for a few weeks. Most people get better within a month, but you may need to talk with your faculty advisor or dean if your Mono symptoms are severe and are causing you to miss many classes. People with Mono should avoid contact sports, or other sports such as jumping, cheerleading, etc. for a month. When someone has Mono, there is a risk of their spleen rupturing, so it is important to see a health care provider before returning to sports. The good news is that you cannot get Mono again once you’ve had it. How do I prevent getting or giving Mono germs? Wash your hands often. This lowers the risk of getting sick or sharing germs. Don’t drink from some else’s water bottle, and don’t share drinks. Don’t share forks, spoons or other eating utensils. What are bruises, sprains, and strains? Bruises are injuries to the skin that cause the surface of the skin to turn purple or red in color; over time the bruise turns yellow-green and then disappears. Sprains are injuries to the ligaments, which is tissue that connects the bones. Strains are injuries to the muscles and tendons that are caused by too much or sudden pulling of the tissues. If you have swelling, pain, or can’t bear weight, you should make an appointment with your health care provider or go to the Student Health Services to be checked. Otherwise, apply ice right away, rest and raise the injured body part on a pillow. Some sprains are severe and may require progressive physical therapy/rehabilitation. A specific type of serious strain injury is called Repetitive Strain Injury (RSI). Repetitive strain injury includes all kinds of injuries (caused by doing the same movement continuously) to the muscles, nerves, and tendons of your arms and shoulders. You may have heard of bursitis, tendonitis, or carpal tunnel syndrome. People that use computers a lot, for long periods of time without breaks, can get repetitive strain injury. Use a lap desk or a table while using your computer to avoid putting pressure on certain muscles and nerves. Your laptop or desktop monitor should not be too high or too close to you. Type lightly on your keyboard. If you’re using a desktop (or you have your laptop set up on a desk), sit up straight, and keep your wrists straight and level. If you’re using a desktop, you should have an extender for your keyboard, so that your wrists rest lightly on it when you are typing. Your chair and keyboard should be set so that your forearms and thighs are parallel with the floor. If this position feels awkward, change it, but still try to sit up straight. Take breaks. Even being in a “perfect” position may cause problems if you stay in the same position for too long.